In your adventure, you will meet Legendary Pokémon and battle against evil organizations intent on their own aims! Take a journey through the Hoenn region, where two large organizations with opposing aims are locked in struggle: Team Magma and Team Aqua. Team Magma wishes to expand the landmass in the Hoenn region, while Team Aqua seeks to raise the oceans. Their contrary purposes lead them to clash bitterly. 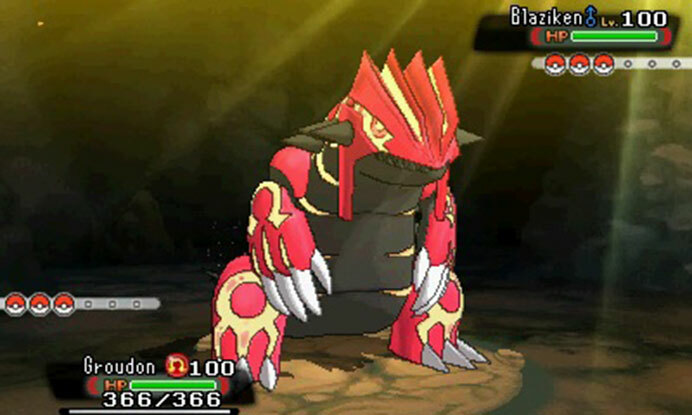 In Pokémon Omega Ruby, Team Magma will seize more power to achieve its goals. 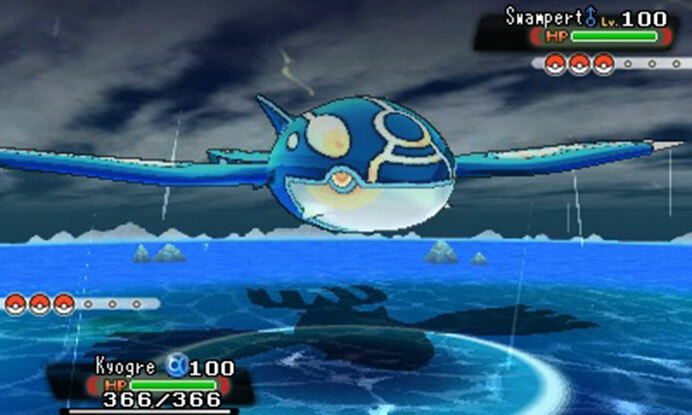 Team Aqua plays the more prominent role in Pokémon Alpha Sapphire. In both versions, you will find yourself drawn into the conflict. Improvements more or less across the board make this not only a cracking remake of one of the series’ more divisive games but one of the best Pokemon games available. With over 700 Pokemon to round up, you’ll be wandering Hoenn for a long time before you even come close to catching ’em all. 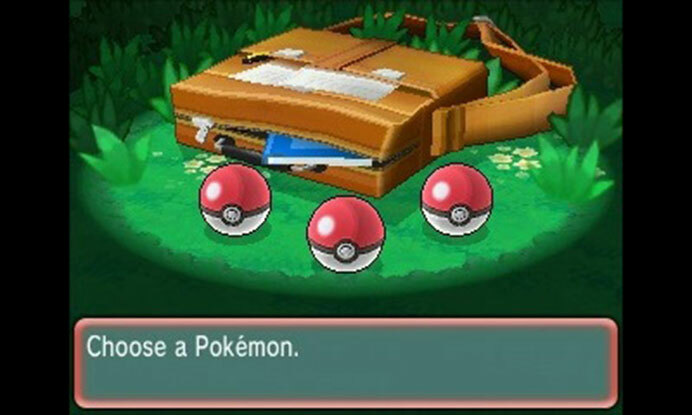 And thanks to the great new mechanics, there’s plenty to see and do on your way to becoming a Pokemon master. By combining this new content with the old, Gamefreak have created their most accessible remake yet. Generation three and Pokémon Emerald can step aside; Omega Ruby and Alpha Sapphire is by far and away the definitive Hoenn adventure. It’s not as ground-breaking as Pokémon X and Y, but is nonetheless an impressive reboot of one of the more memorable Pokémon regions. In all honesty, I would not buy either of these new Pokémon games given the fact that I’ve yet to finish the previous entries, but it’s impossible not to recommend them for kids or adults looking to push games for their children. The core adventure might not have as much soul as something like Red and Blue or Gold and Silver, but it’s a solid RPG nonetheless. It takes the best parts of the original game, enhances them with X and Y’s engine, and then makes improvements on top of that. It’s by no means flawless, as there’s clearly room for these games to improve and evolve into something even more refreshing. And now I find myself in 2014 with a shiny new 3D remake and everything is okay. Everything is more than okay. I can finally go out into the Hoenn region and discover the magic that it was supposed to have all of those years ago. And believe me, from one Pokémon master to another, the magic is there. All you have to do is go out and look in every blade of grass. The re-introduction of 'new' features like the Hidden Bases and Pokemon Contests will be welcomed by those who may not have encountered them the first time around, but X & Y veterans will see more steps taken back here than forward. ...It may not be the greatest Pokemon game, but it's still a strong one: as far as remakes go, this is more Clooney and Pitt in Ocean's Eleven than Nicolas Cage in The Wicker Man. 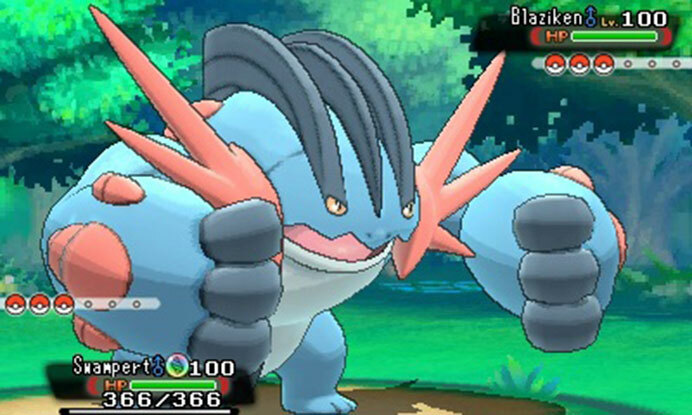 As it stands, your biggest motivation for progressing through Pokémon ORAS is the same as it's always been: To collect and train stronger and stronger Pokémon. Thanks to the multitude of monsters and increasingly complex type-matching strategies, that pursuit is still worthwhile and engaging, despite Pokémon ORAS's baby-steps approach to iteration. Overall, Pokémon Omega Ruby & Alpha Sapphire seem very similar to Pokémon X & Y, as you might expect, but the story and the environments you encounter feel – despite the fact that they are remakes – very fresh and unique. They’re not an extensive upgrade from their other 3DS counterparts, but any Poké-fan who’s played one of the series remakes in the past knows that expecting an enormous upgrade is a fool’s errand. Pokemon Omega Ruby and Alpha Sapphire do a fine enough job bringing the GBA releases up to modern standards. But when 50 percent of all Pokemon games are remakes and the rest feel like remakes, it just makes me wish my favorite game series would stop dwelling on the past. Pokémon remains as unique as they come among RPGs—a monster collection game that effortlessly blends social gaming with deep battle mechanics. In returning to the series' third generation, Omega Ruby and Alpha Sapphire bring back many of the elements that defined the originals while also being some of the most accessible entries to date. That said, they can be a little too easy at times, and the postgame content feels a bit lacking in light of what's come before. There’s so much content and so many new details, features, mechanics, upgrades and more that Game Freak added to this remake. 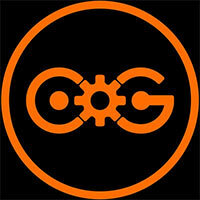 It certainly doesn’t reinvent the wheel, but fine tunes that wheel to near perfection. Pokémon Omega Ruby and Alpha Sapphire is a true labor of love and, aside from some minor hiccups here and there, deserves a go from both newcomers and old fans alike. Although X & Y did an admirable job when it came to transitioning the Pokémon series onto the 3DS, to me it seemed like the same formula from 1998 with a new coat of paint. However, this entry feels like a true next-gen title, with all the charm of the Pokémon franchise and just the right amount of features and complexities to have players journeying through Hoenn for years to come. Grab a Poké Ball and jump right in! Give these remakes enough time, and you begin to understand why Pokemon's formula hasn't changed much over the years. It's a seemingly simple and cute journey, but with the underlying potential for strategy in combat, and a massive number of adorable Pokemon to catch, you can't help getting hooked by Pokemon Omega Ruby and Alpha Sapphire. As a 3D remake, Pokémon Alpha Sapphire and Omega Ruby do a fantastic job of reintroducing Hoenn. Little details, like characters turning their heads to look as you pass or flocks of Wingulls flying overhead, make the region really come to life, and small updates and tweaks help make the journey smoother. Still, a few of its flaws are even more glaring in 3D, especially the excess water Pokémon and often dull navigation of their habitats. For Pokémon fans, of course you should pick this up. For people asking “will this get me into the series?” the answer is maybe. I still think X and Y are a better starting point for players. There are some small improvements to the overall experience, just keep in mind, there’s nothing very revolutionary about Omega and Alpha. With much better pacing and the inclusion of Mega and Primal Evolutions into the main story, Game Freak has amazed once again with a near perfect reimagining of the Generation III classics. Enhancing the experience even further was the inclusion of the DexNav, one of the most important additions to the Pokemon catching mechanic since the beginning of the series. Pokemon Omega Ruby and Alpha Sapphire are the definition of what makes the series great, while serving as impeccable pieces of nostalgia for anyone that played the originals. Pokemon Omega Ruby and Alpha Sapphire do little to overhaul the major pillars of a series that's long relied on the same set of classic ideas, but they don't have to. The core mechanics of Pokemon remain immensely addictive, and Game Freak's latest coat of polish only enhances an already captivating adventure. Pokémon Omega Ruby and Alpha Sapphire may not be perfect, but they’re an exciting step forward for the long-running franchise. It’s a tough task to make a remake feel as exciting the second time around, but Game Freak managed to pull that off in spades. The solid and addictive mechanics that have made Pokémon a staple of the RPG genre are back in full force, and while they’re noticeably easier than years past, it’s still hard not to be engaged. 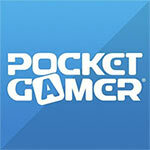 Pokémon Alpha Sapphire and Omega Ruby are worthy updates of classic games from the Pokemon pet battle series. They add modern graphics and sound, the gameplay updates of the previous few installments, and the new evolutions without ruining the nostalgia of the original Sapphire and Ruby titles. Nintendo has tried so hard to bury all of this under layers of sleuthing and discovery and puzzle-solving feels like an odd, albeit enriching throwback to the early days of the Web. ...It's these kinds of things that remind me that people love Pokémon for a reason. As tired as the series can often seem, these games have a strong emotive core laced with pieces of refined mechanical slices that, while often repetitive, still accomplish far more than newer series with weaker creative underpinnings. Long story short, Pokémon Omega Ruby/Alpha Sapphire is much more than a remake of the third generation of Pokémon. This is a game that continues the legacy and foundation laid with X and Y, polishing the experience to the max, giving players more power and control over the game with new tools and a new capture mode. ...Pokémon Omega Ruby/Alpha Sapphire is a title that offers tons of hours of playtime, that won't end when you complete the Pokemon League; there is more fun to be had after that. If Pokémon is your cup of tea, Pokémon Omega Ruby and Alpha Sapphire is a must whether you've played the originals or not. 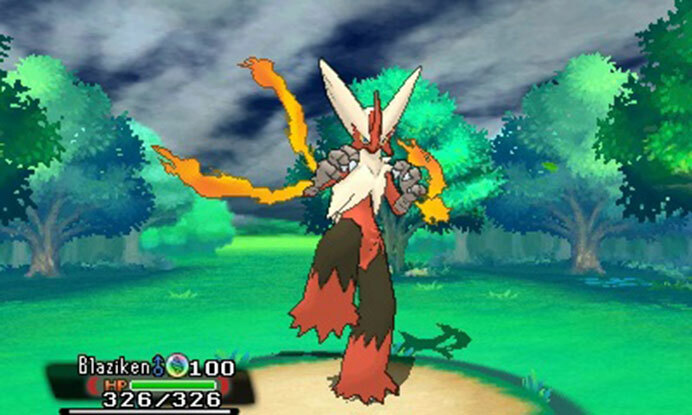 It's not quite as great a place to start for newcomers as Pokémon as X and Y were though. Pokémon Omega Ruby and Alpha Sapphire brings back and adds some great features, but not without cutting out some of the standards set in Pokémon X and Y.
Pokémon Omega Ruby and Alpha Sapphire are terrific, overlaying several new features on a couple of classic games. Best-looking handheld Pokémon to date. 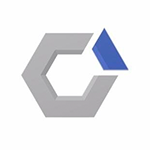 Excellent support for the competitive scene. Modern additions are great. Rubí Omega y Zafiro Alfa se preocupan por la forma, pero también por el fondo: es admirable la manera en que Game Freak busca la adición significativa, hacer legible para más gente un juego portentoso y que siempre ha escondido, detrás de su fachada encantadora y colorista, un sistema de combate magnífico, un montón de opciones para jugadores de cualquier nivel y una profundidad que ha sabido mantener y actualizar durante casi veinte años. Pokémon Rubí Omega y Zafiro Alfa es justo lo que se esperaría de un remake: un juego tan completo y con tantas novedades que merece la pena ser jugado, hayamos disfrutado de sus versiones originales o no. Nuevas megaevoluciones, una historia extendida, multitud de nuevos secretos con los que disfrutar redescubriendo Hoenn y un apartado gráfico y sonoro realmente buenos son sus cartas de presentación. Sin duda Nintendo ha demostrado una vez más cómo se hace un remake. Cumple en lo básico sin duda: apartado visual remozado, banda sonora remasterizada y nuevos objetivos adicionales a los del original. Pero un buen remake debería ir más allá. No se han quedado simplemente en actualizar los gráficos o añadir nuevas misiones, sino que han sabido conjugar las virtudes del original con las novedades que le siguieron en nuevas entregas. Rubí Omega y Zafiro Alfa se renuevan por completo, tanto gráficamente como jugablemente para además aportar novedades que debutan en la saga, al estilo de surcar los aires o practicar sigilo para sorprender a los pokémon. Absolutamente imprescindibles dentro del catálogo por su capacidad de generar diversión durante horas y horas sin desfallecer. Una sorpresa mayúscula. Ja, der Dreiklang aus Sammeln, Kämpfen und Grinden ist auch in diesem Jahr suchterzeugend wie eh und je. Aber man hat das Gefühl, dass die Entwicklung der Serie an ihre Grenzen stößt. War die 3D-Welt von X & Y noch eine Frischzellenkur, die mit viel Abwechslung und einigen Neuerungen glänzte, stagniert man jetzt auf gutem Niveau. Immerhin: Alpha Saphir ist „nur“ ein Remake, dessen Original man ansprechend aufgearbeitet und gut umgesetzt hat. Dennoch: Nächstes Mal zählt‘s, Gamefreak. Hier steht Pokemon auf der Packung und es ist Pokemon drin. Eine liebevolle Überarbeitung des GBA-Spiels von 2003, die auf technischer Seite über X und Y steht. ...Möchtet ihr mal wieder auf Pokejagd gehen, nostalgische Gefühle aufleben lassen oder zum ersten Mal die bunte Welt der Taschenmonster bereisen, kann ich euch die Neuauflagen nur wärmstens ans Herz legen. Erwartet ihr dagegen eine Designrevolution, solltet ihr Abstand halten und zu anderen Rollenspielperlen auf dem 3DS greifen. Pokémon Rubis Oméga et Pokémon Saphir Alpha ne sont peut-être pas d’une terrible originalité après le chamboulement X et Y, mais ils remplissent leur office, à savoir fournir un os à ronger de qualité aux joueurs d’ici à l’arrivée d’un nouvel épisode. Reprenant la majorité des avancées des deux opus sortis l’année passée, Rubis Oméga et Saphir Alpha font également légèrement avancer le schmilblick en perfectionnant la recette et en ramenant à la vie des features qui faisaient partie du package en 2001. Pokémon Rubis Omega et Saphir Alpha ne sont pas que de simples remakes des épisodes originaux et s'avèrent suffisamment modernisés et riches en nouveautés pour attirer l’œil du puriste avisé ou du profane non éclairé. ...Pour le reste, Pokémon ROSA propose une épopée riche, un univers coloré, un contenu toujours aussi imposant et quelques jolies surprises donnant envie aux petits nouveaux de prendre le train en marche et aux nostalgiques de s'y replonger. Quelques petites nouveautés ergonomiques viennent heureusement donner un peu de relief à ces remakes, qui bénéficient aussi de certaines fonctionnalités des versions X et Y, à commencer par les modes en ligne. Toutefois, on aurait aimé conserver également d'autres aspects, comme la personnalisation des dresseurs. Rubis Omega et Saphir Alpha font très bien leur travail et complètent intelligemment la sixième génération, mais ils en montrent également les limites. A primeira grande aventura Pokémon na 3DS colocou uma fasquia demasiado alta para ser suplantada agora por um título que pouco fez para alterar as novidades que destacaram o anterior, preferindo talvez criar uma coerência que defina Pokémon na 3DS. No fundo as novidades, não são de um peso enorme, mas no seu todo faz justiça ao original e ao legado Pokémon. As novidades introduzidas mostram que estes remakes são na realidade mais do isso, dando pequenos mas importantes passos para a contínua evolução destes jogos, como a nova habilidade Soar e o novo método de encontrar Pokémon, que de agora em diante são imprescindíveis para novos títulos. Para iniciantes, estes remakes são um bom ponto para começar como qualquer outro jogo. Como sempre, o que não falta são instruções e dicas dos NPC que povoam o mundo. Per concludere, dobbiamo quindi ammettere che il nostro ritorno nella regione di Hoen non è stato privo di sorprese. Alcune positive, come una mappa degna di tal nome, altre negative, quali l'eccessiva semplicità che sembra sempre più affliggere la serie. Ci sono alti e bassi, insomma, ma quasi sempre il livello dell'avventura punta verso l'alto. ...I fan della serie ne rimarranno comunque estasiati. Pokemon Ruby en Sapphire waren erg toffe games en om die met de techniek van nu te kunnen herspelen is een fantastische ervaring. ...De remakes zijn tot in de puntjes verzorgd, overal is aan gedacht. Alles wat klopte aan de games die na Ruby en Sapphire zijn verschenen zit in deze remakes verwerkt. Zelfs met concurrentie van een Halo of Grand Theft Auto V zouden Pokémon Omega Ruby en Alpha Sapphire wel eens de beste remakes van de maand kunnen zijn. Als verknochte Pokémon-fan is het bijzonder moeilijk om de langverwachte remake van de episode in Hoenn niet in je armen te sluiten. Daartegenover staat echter dat het even moeilijk is om door de roze bril te blijven kijken. Game Freak heeft enkele kritieken op het origineel vakkundig verwerkt, maar laat daarbij evenzeer na andere opvallende mankementen aan te pakken.